A Rinkya Blog: Check out Japanese Mascots! We love this new website Japanese Mascots! 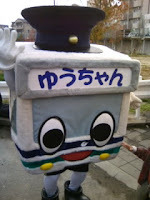 It lists a variety of mascots for Japanese companies. Images via Japanese Mascots check out what company these mascots are for!